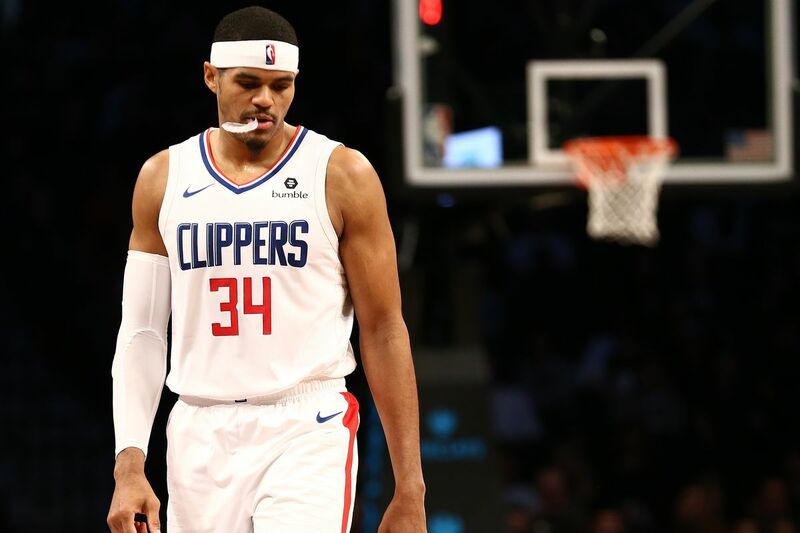 With the NBA trade deadline approaching, the LA Clippers (30-25) and Philadelphia 76ers (34-20) worked out a blockbuster trade that will send forward Tobias Harris from Los Angeles to Philadelphia. Harris is averaging a career-high 20.9 points per games, plus 7.9 rebounds a game. His game flourished ever since the Clippers acquired Harris for Blake Griffin in a trade with the Detroit Pistons last season. The Sixers are making a run to represent the Eastern Conference in the NBA Finals. Earlier this season, the Sixers traded for Jimmy Butler, who wanted out of the dysfunctional Minnesota Timberwolves. The trade, between the Clippers and Sixers, involve six players and four draft picks. The Clippers pulled a Marie Kondo and cleaned house. They hope that Anthony Davis can spark joy for them in the future. With the trade, the Clippers put themselves in a better position to acquire Davis, who demanded a trade from the New Orleans Pelicans. The Clippers are also making room to potentially accommodate Kawhi Leonard, the Los Angeles native, who expressed interest in playing for either of his hometown teams. As of now, the Clippers have enough cap space to sign two max-contract free agents. If that does not pan out, they also have an abundance of draft picks to rebuild the team, or package them to acquire other players. The Sixers did not move any of their stars to acquire Harris. Overall, they shipped out three players and four draft picks. The Sixers are going all-in right now to lock up the Eastern Conference. The Sixers have the best starting five in the NBA that is not called the Golden State Warriors. With the return of Boogie Cousins from an Achilles injury, the Warriors are fielding five former All-Stars. The Sixers do not have much of a bench right now, but the addition of 7-foot-3 center Boban Marjanovic (6.7 ppg and 4.2 rebounds) could help them out if they need to go big. The draft picks are something that might come back to haunt the Sixers. The second-round picks (via the Detroit Pistons) certainly sweetened the pot, however, the parted with two first-round selections. The Sixers gave up their own 2020 first round pick, plus an unprotected 2021 first-round pick (via the Miami Heat). The Sixers with a 34-20 record currently hold the #5 seed in the Eastern Conference, yet trailing both the Boston Celtics and Indiana Pacers by a single game. The Milwaukee Bucks and the Greek Freak recently edged out the Toronto Raptors to secure the #1 spot in the East. Meanwhile, in the Western Conference, the LA Clippers (30-25) were holding down the #8 seed. Now that they’ve punted on the season, the final playoff spot is up for grabs. The upstart Sacramento Kings are on the playoff bubble, but only a game behind the Clippers. The LeBron James and the LA Lakers are 27-27 and only three games behind the Utah Jazz, who hold the #7 seed. According to the South Point Casino and Sports Book in Las Vegas, the Philadelphia Sixers are 15/1 odds to win the NBA championship. The LA Clippers are 150/1 odds to win the title.